Did the Christmas Message Find You? When I was a young buck of a preacher, a veteran pulpiteer told me Christmas Eve and Easter are the hardest messages to deliver. In youthful exuberance, I failed to understand how he could not get more excited. Now, with some experience, I have a degree of understanding of what my crusty colleague was saying. What he meant was the message never changes, despite our window dressings. Only Matthew and Luke give us stories about the birth of Jesus. We run their stories together in our nativity scenes; shepherds and the wise men appearing in full quota around the manger at the same time. The reason we may mix Matthew’s story with Luke’s is: to soften the harsh human realities contained in the first gospel. Wise and wealthy kings from a foreign land involved in a political plot for power doesn’t make play well in Peoria while chestnuts roasting over an open fire. Yet, this still may have been Matthew’s way of telling his readers the Christmas message reaches across human made borders to persons of every land. Christmas doesn’t seem complete until we read the Christmas story from Luke, which is the version most of us prefer, learn, or memorize. We teach children Luke’s story of angels appearing to Mary to tell she was chosen to bear a child, born of the Holy Spirit. Luke gives us Mary’s beautiful song of acceptance. Luke writes of “shepherds in the fields, keeping watch over flocks by night”. The Christmas message told in Luke of “I am bringing you good news of great joy for all the people: to you is born this day in the city of David a Savior, who is the Messiah, the Lord” is a penetrating message; containing the power to speak for itself. There is a reason why Luke’s omits wise men and speaks of shepherds. Luke is making a single point throughout the entire gospel. His perspective becomes apparent when we contrast Mathew’s gospel with Luke’s edition. One example-Matthew has Jesus going up on the mountain for the “Sermon on the Mount.” Luke says “Jesus came down the mountain, stood on a level place to speak the “Sermon on the Plain.” Luke is concerned with showing Jesus cared for the poor, disenfranchised, and outcast. Nothing says it better that God cares for all than caring for the least. Luke has the angels appearing to shepherds. These were not the rural, romantic shepherds laying all day in a pastoral setting. These are rough, dirty, uncouth fellows. They were not traveling to register for the census; they were unworthy to be citizens; migrants who drove sheep across so many provinces they could not call any place home. Luke tells these were the people to whom the Christmas message of “I am bringing you good news of great joy for all the people: to you is born this day in the city of David a Savior, who is the Messiah, the Lord” was delivered. The complete picture Luke paints is the Christmas message was first announced to the poorest of the poor, who ignored borders, and were homeless. These bottom strata residents overcome fear, go to Bethlehem, to tell a woman of little status who was shamed by the rules of her religion; God’s light had shined down telling them of the birth of the child. The words they shared with Mary were received like precious gems brought by kings. Luke wants us to see the inclusiveness of God’s love; assuring no one is left out in hearing the good news of the Christmas message. The fact the message never changes is fine with me. This is a much-needed message for ancients and us, post modern folk alike. The Christmas message is globally relevant and personally targeted toward all of God’s children. The Christmas message has power to bind together each person in this place with those scattered in other places despite the time zone in which they reside. The reason for its potency is the message is unchanging, immutable; the song remains the same. -We do not travel from one place to another looking for sustenance for ourselves and our flock. Yet, we are a people who travel in search for meaning down the many corridors of our lives. -We are not stained and soil caked because of the long journey to remote places. Yet, we’re a people discolored by disappointments or tarnished by regrets experienced along the twisted road our lives. -We are not passing time each night with no real hope anything will change in the fields. Yet, we are a people who are capable of few expectations other than morning follows night. -We may not be startled by a host of heavenly beings making a world changing announcement that beckons them to tell. -A people who God can surprise with incredible moments of grace; inviting us to see what new thing God is up to our lives. Hospitals and Christmas are synonymous for our family this year. My mom went home from Baylor this morning after twenty-four day necessitated by a December 1, eleven hour surgery. Terri’s family will spend their Christmas in a Houston hospital to be with her dad, who is recovering from a broken hip he experienced in a fall this week. These uncertainties have tinged this year’s celebration with sadness and days of anxiety. It is into the world of hospitals we’ve waited for the Christ-child to speak the Christmas message. Throughout it all, I am more acutely aware of grieving spouses, broken families, frightened immigrants and others, like your preacher, who needs to hear afresh the Christmas message of “I am bringing you good news of great joy for all the people: to you is born this day in the city of David a Savior, who is the Messiah, the Lord”. I’ve hospital stories. More important-I’ve a question-Where are you waiting for the Christmas message? Some of you are waiting in places where you think the message will not find you. This is why I lift up the shepherds Christmas message. If the message could find outcasts wandering on the backside of Galilean hills; it can find you. Luke says if it can find the least, it can find any of us. You came tonight because there is something within you that hopes the Christmas message finds you. 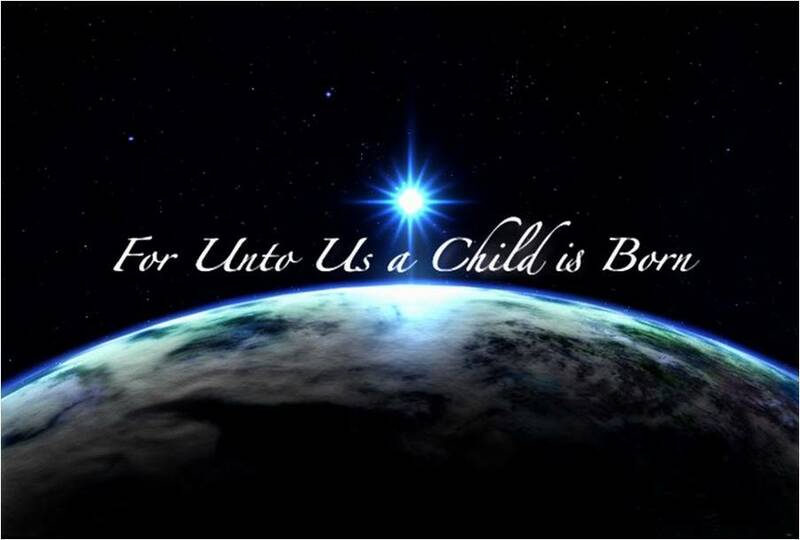 So, I point us to an unchanging message, “I am bringing you good news of great joy for all the people: to you is born this day in the city of David a Savior, who is the Messiah, the Lord”. I can do no more or less; praying your heart is cracked enough, so you can hear the Christmas message. The Christmas message hasn’t changed, making it possible for it to change each of us. I thank God the Christmas message found me in the halls of a hospital. Where will it find you? Merry Christmas!